Just want to share this Cloth Diaper Decision Chart. Funny right? Cloth Diaper is very addictive. So mommies, which path would you take? Good morning! Mommy Maye is not feeling well today but since it's Friday and it's our reporting day, I need to go to work. Yesterday was a holiday and as usual Matt and I had a bonding time. As in, everywhere I go, he follows. I just have a little problem with him these past days. Matt will wake up in the middle of the night crying out loud. That scares me because it seems he's having a nightmare. Also, he acts differently when we are around (mom and dad). He used to be always understanding but now he's showing tantrums already. He will cry out loud when he don't get what he wants. I feel exhausted every time he do that. Her Tita said he is not like that when they are left alone. Hey mommies, please help me understand it. Got to read something about it soon. Oh before I forget, here's our Daily Inspiration for today. I really need this reminder much. 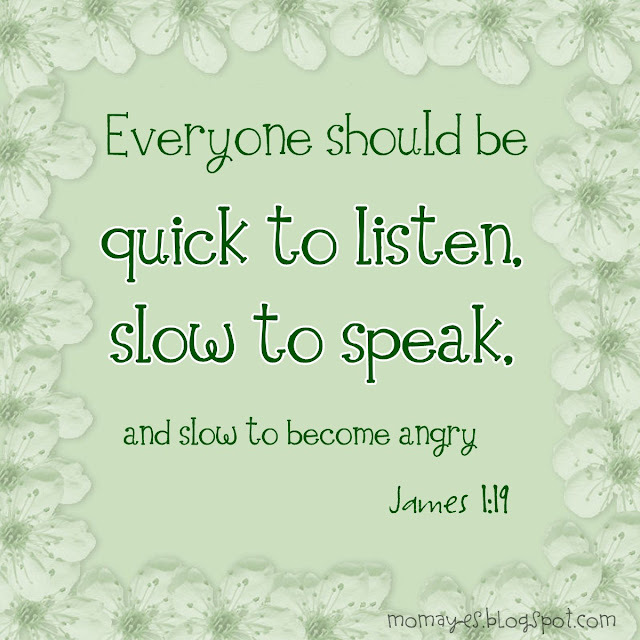 I should take it slow especially being angry. I need it to deal with my son's terrible two stage. I want him to understand more and be patient as much as possible. Have you notices that our daily inspiration yesterday is also about anger? Sometimes no matter how we avoid anger, situations won't cooperate so I constantly remind myself about all these inspirations about anger. I find them helpful and I hope you find it helpful too. Good morning! I am happy I don't need to go to work now because it's a holiday again in Bulacan. It's Marcelo H. Del Pilar day. But Daddy Allan need to go to work because they will have Internal Quality Audit so that I am left with my hyper-cute little son. Oh, before I forget here's our Daily Inspiration. We had a speaker in our ISO seminar that told us he avoided anger and that it was years now. From the way he talked, it seemed so easy not to be angry but he did. 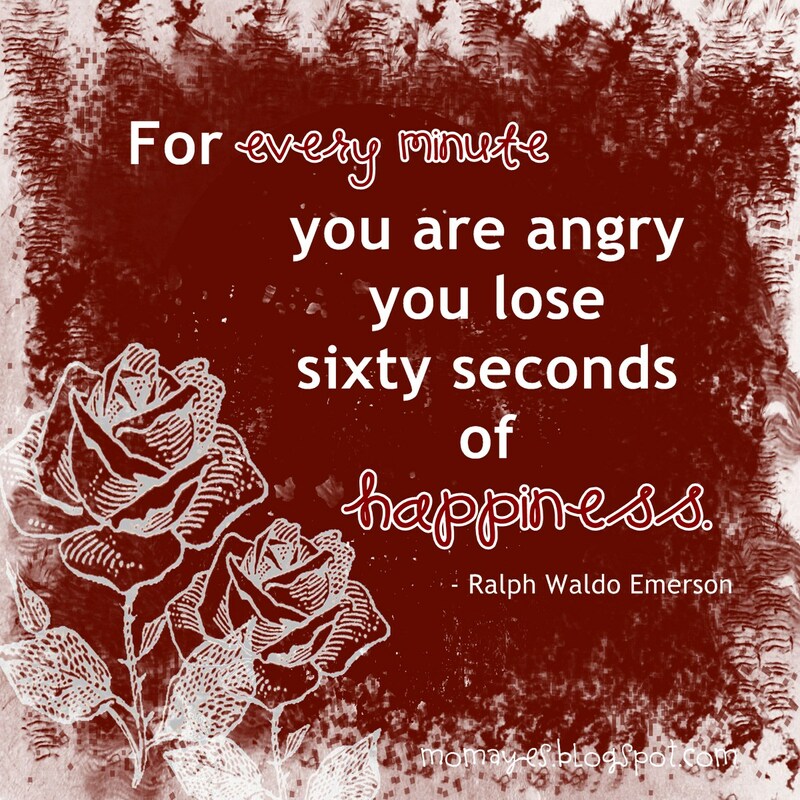 So it is very possible to not get angry. Then I try to do that too and manage to go on for almost a week, then after that I quit because I felt I am becoming unstable, haha. But it felt good to not feel anger for days and I was happier. Have you tried also to avoid being angry? 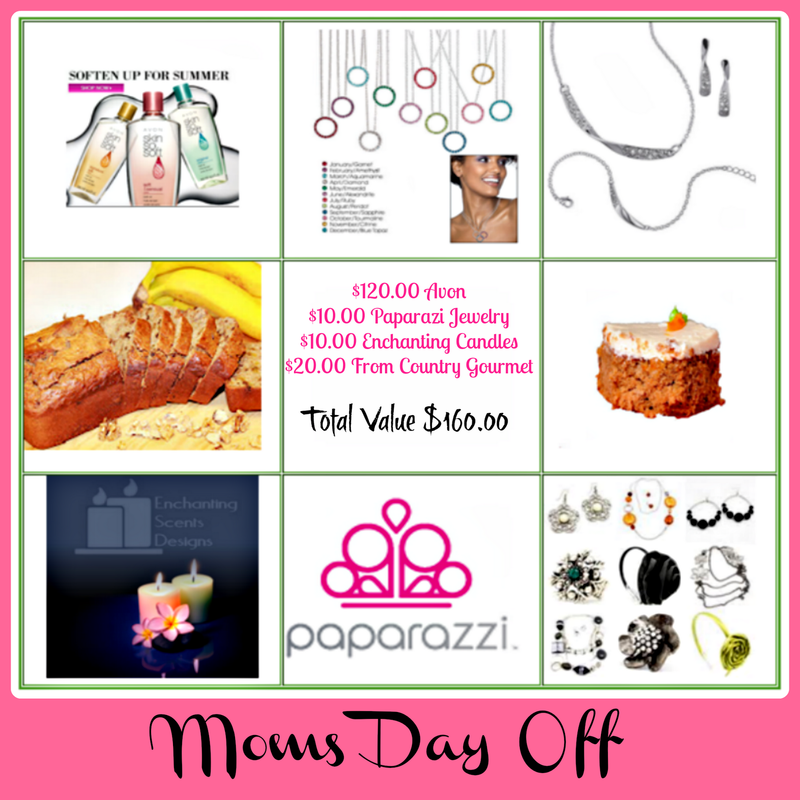 Free Blogger Event: Bloggy Whatcha Want Christmas Giveaway! Sign up HERE. If you want the FREE Facebook link for this Super Bloggy Giveaway you have to make an announce post on your blog. Additional links is $3 each and co-host spot is $10. This event will run from November 10th until December 10th. Sharing with this Daily Inspiration. If you still have both of your parents with you, then you are very lucky. Well, I am still lucky because I have my mother. It is not easy to losea father because of all the important occasions of my life that requires his presence. He missed my wedding day and the day I gave birth to my son. I feel sad whenever I think why he will never see my son who most people said, his look-a-like. Just in this moment when something is really bothering me, I wish he is still here. For I know if he still here, he will never allow this to happen. I know he will be the strong man I used to know and he will never want us to get hurt. Oh, I wish he is here to assure us that everything will be okay even just by the look in his eyes. He is never a perfect father but when he was gone, part of me also died. But hey, I am here to inspire you. So I know I should trust God and his plan, which is way better than I am thinking. I still have my mother and that I know my father will be happy to see her happy. I bowed to love and take care of my mother until the day they will see each other again. Loving and taking care of her will never be enough for all the sacrifices she had. 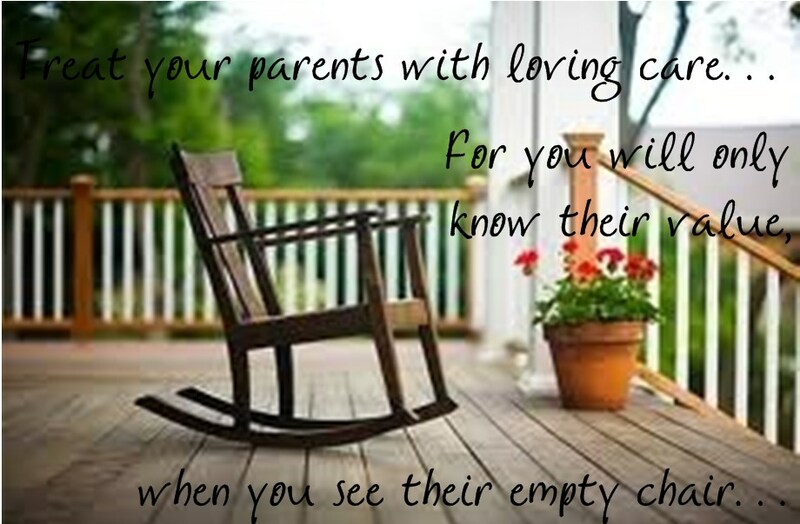 So if you still have both your parents with you, don't waste time to show how much you love them. Because time is indefinite and it might surprise you and caught you unguarded. Love and take care of your parents because that's the best thing we can ever give them in return for all their sacrifices. 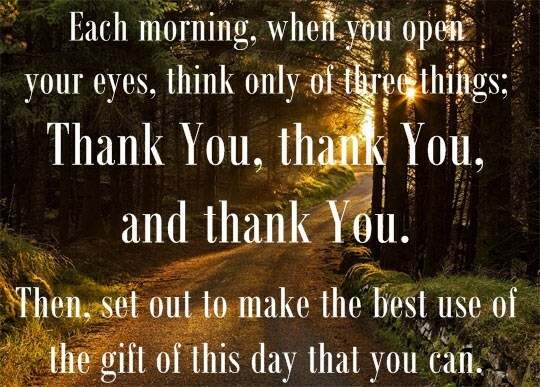 Daily Inspiration: Thank You, Thank You, Thank You! Back to work! Good day everyone! Everyday is a blessing. So leave behind all the worries of yesterday then face this new day the best way you can. Remember, God always has a better plan so just go with the flow and trust Him with all your heart. Here's my little cuti pie. Super cute Matthew! I had a hard time doing household chores because he follows me everywhere I go. That's why I can't have rest while I am at home but seeing him so happy being with mommy is more than enough to make me feel better. Back to work again tomorrow. Enjoy the rest of the day! Hello everyone! While I am typing this, my little son is doing everything just to make him notice. He is always an early bird. Daddy and I slept almost one in the morning because of crocheting. My little son woke up at 6am so as much as I wanted to sleep I can't because he keeps on singing and saying "mommy loves", then kiss me. Who can't resist that? Anyway, I have to share a Daily Inspiration to you so here it is. I believe in Karma and that life is an echo. Whatever you give life, life will give it back to you. So as much as you can, be kind and treat others the way you want them to treat you. Play with other people's feelings and you will surely get a double dose of your own medicine. So be kind, even others do not, even others can not and even others will not. Good morning! Thank God it's Sabado! So true. There's no perfect couple nor a perfect relationship. At the start of every marriage, there will always be something you will not agree about. It is not always you have the same thoughts and likes. But in the process, you will learn to accept each other's differences and love each other more even with the flaws each has. That is when a great marriage comes. Enjoy your Saturday! It's another long weekend, but not yet for me because I am still here at work. I am browsing the internet and looked what I have found. Guess what, the price of each is under $20 only! I like the Vivilli Two Hearts Silvery White Cubic Zirconia Stud Earrings, the most. 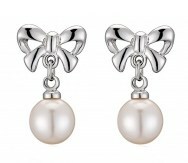 It's brand is Italina and with Swarovski Element Crystal fitting materials. This is simple great with moms like me with a little toddler hanging with me. To make things more excited, I would like to share with you this fashionable giveaway. 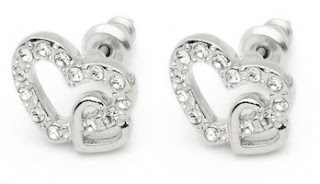 Yes, I have a new giveaway! Vivilli is a fashion online store company located in Arizona, US. They also have a store on Amazon. 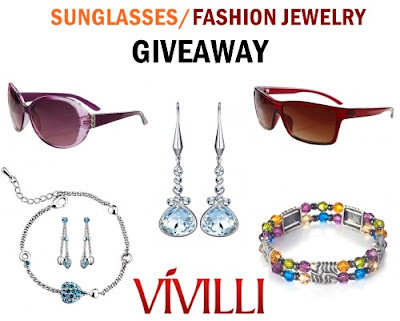 One winner of one pair of the latest fashion sunglasses/fashion jewelry of their choice. Enter the Rafflecopter below. This giveaway begins on August 23rd and ends on September 7th (12:01 am EST). This is OPEN WORLDWIDE. Hello guys! How's your morning? I hope you started it well. Who doesn't want money? But too much of it won't really be of good help. The want for money sometimes turns to greediness. 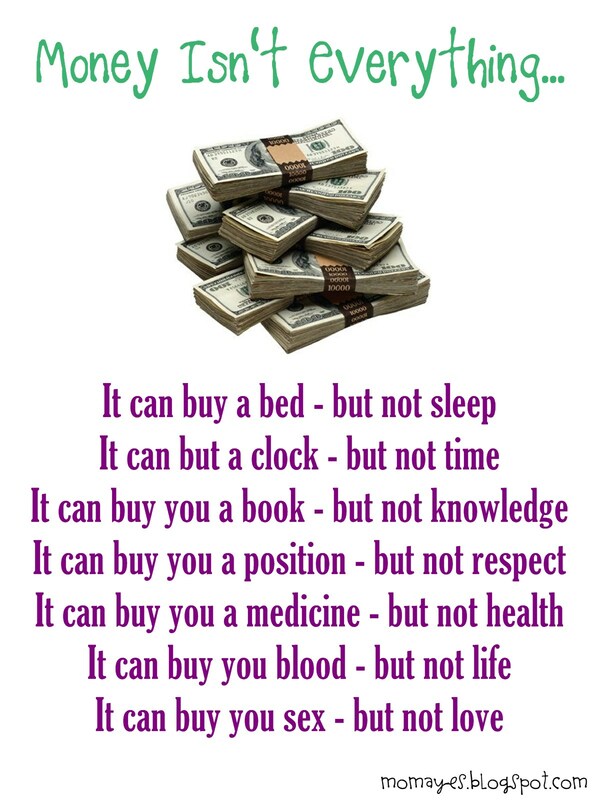 Only to realize in the end, that money isn't everything. I want money but just enough for my family to live comfortably. I am working hard to give the best for my son but spending quality time with him is still my top priority. Because I can never take back time and I am afraid that one day, my son will never remember any precious moments he had with me and his dad. That will surely break my heart. So, I am not saying forget about money but rather don't make it as your priority. 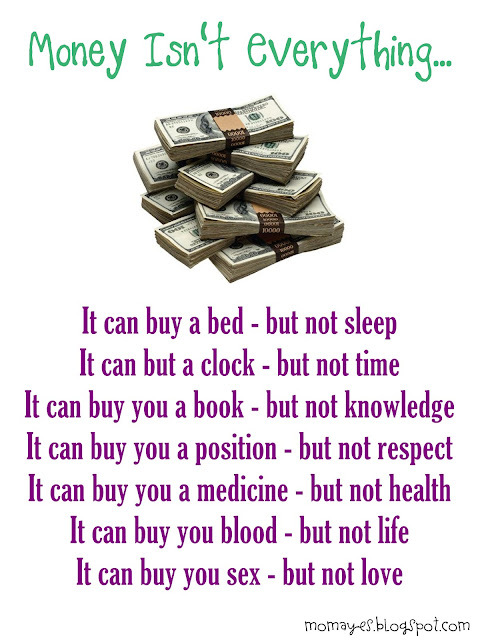 Remember money can't buy everything and you can never bring them with you when you die. Happy Friday! Hello long weekend! If you want to get more comments, then please remove the captchas/word verification. The words are getting harder to read and so the added blurred numbers. Right? Yay, McDonald Twister Fries will only be available until August 25! Just two days left and I haven't tasted it! Better ask Daddy Allan to order one or two later. Do you already have your own Twister Fries moments? Hello everyone! I know it's a bit late but still I am super excited to share this with you. Let's have some humor in our Daily Inspiration. Let see if you could relate with any one of the things above. 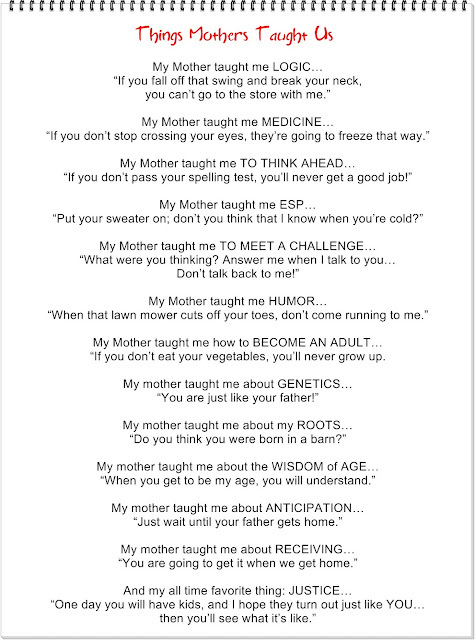 Mothers are full of humor right and I only understand my mom when I became a mom too. $200 will be given away. One winner can choose from Kindle Fire, PayPal Cash, Amazing, Wal-Mart, Target! Sign up HERE. Again, you must make an announcement post to get a FREE Facebook link with the option to purchase additional links! Additional likes is $2 and daily votes is $3. Co-host spots is $10 Event will run from Sept 20th until Oct 20th. As promised, here's the second FREE BLOGGER EVENT! This FREE Blogger Event is brought to us by Jenn's Blah Blah Blog, Pink Ninja Blogger and Diva Fabulosa. There are 10 Hidden Treasure Candles to be given away! 2 Hidden Treasure Candles each to FIVE Lucky Winners! That's a total of $250 in amazing candles, with hidden treasures inside each and every candle! * Every candle has a beautiful hidden treasure inside the amazing smelling wax. * Every 500 Candles sold, one lucky customer will win an iPad 3! 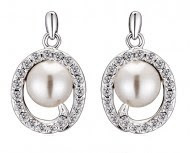 * Every 1000 Candles sold, one lucky customer will receive a Le Vian Necklace! * Every 5000 Candles sold, one lucky customer will receive a Tiffany & Co. Pendant! Sign up HERE. To get FREE Facebook And Twitter link for this giveaway, you must make an announcement post about the event or pay $5 if you don't want to make a post. Extra links are only $2 each and daily votes is $3. Today I will share with you three FREE BLOGGER Events. Yes, I have three events to share with you for you to gain more followers for FREE! If you missed the Glass Handbag Event last month then here’s another FREE Blogger Event brought to us by Jenn’s Blah Blah Blog and Diva Fabulosa . Another good news is there will be a Glass Handbag Giveaway every single month until further notice. Sign up HERE. Giveaway runs from 9/15 - 10/15 and is open worldwide. Make an announcement post to get a FREE Facebook link in event and is open worldwide. Additional links are $2 each and daily votes $3. Co-host spots are also available. Attention Bloggers! Here's another FREE BLOGGER Event you can join. This Event is brought to us by Jenn’s Blah Blah Blog and Diva Fabulosa! 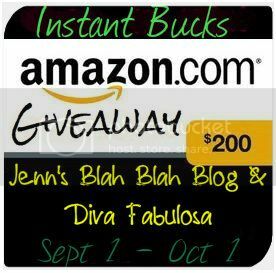 Instant Bucks will be giving away $200 Amazon Gift Card! Sign up HERE. To get a Facebook/Twitter link for FREE make an announcement post for the event. $2 for additional link and $3 for Daily Picket Fence Vote. If you have not signed up with Instant Bucks, do it now! Click HERE. Join us now and share this with your readers! 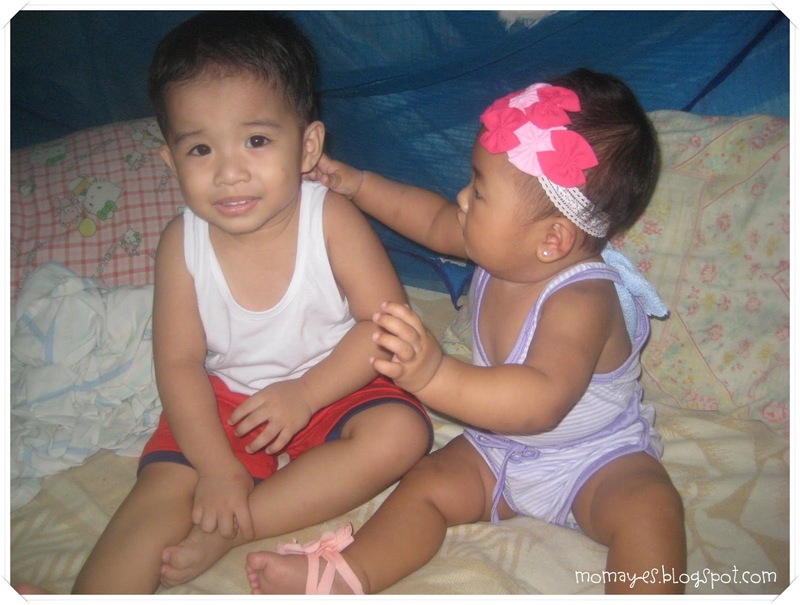 Sharing with you this photo of Matt and his cousin Gelai. I don't know why Gelai would want to grab Matt as if she sees a cute bear. Haha. She actually screamed in excitement and reached out for Matt here. She pulled his hair but the poor little boy do nothing. He don't fight back and just evade. Should I be alarmed that my little Matt doesn't fight back? I have seen twice an older boy hurt my son, too fast I don't get to stop them. I have seen Matt left in amaze why he was hurt. He never fight back and now I fear when he goes to school and he meets a bully. I wonder why there are bullies and what their parents are doing. Anyway, I always pray to keep my son safe and I know God will protect him. Do you also fear the same for your child? Or is you child already bullied? Please don't hesitate to share. Thanks! Hello Bloggers! 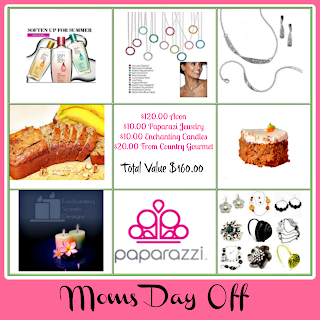 Sharing with you another FREE BLOGGER EVENT! Make an announcement post for the upcoming event to get a FREE link.This is a good way to gain more followers on your Facebook page. Co-hosting spots are also available! Click here to sign-up. Hi everyone! We must face reality and it's back to work again. How's your long weekend? Ours was great and as I already said, we really don't get to rest because we went back to our home town. The travel hour was 4-5 hours because of the traffic in every towns in Bulacan and Nueva Ecija. I hope, the bypass road from Balagtas to Cabanatuan will be finished soon for shorter travel time. Anyway, we enjoyed the long weekend and there's another long weekend to look forward again. Yey! Of course, I will never forget to give you our Daily Inspiration and here's for today. Keeping distance make you see those things you overlook when you are standing close with each other. I will share a little of our love story without Daddy Allan's permission. We are best of friends since high school but we know each other since kindergarten. We went to same schools from kindergarten to college. I graduated ahead of him because his thesis was not yet through. After graduation we seldom see each other and that made us realize and see what we fail to see being always close together. I bet you already get what is we finally realize. Lol. Same is true with other relationship. Sometimes, it makes sense to move a little away and keep a distance. You will learn who really cares for you if they notice you are drifting away. They will see the space you have created and of course if that space is important with them, then they will feel your importance too. Like any other mother, I want to make sure that my family is always safe. However, as much as I wanted to, I cannot avoid accidents and other catastrophe to happen. That thinking made me realize that I should protect my family more than ever and also be prepared with the expenses. But, surgeries and other medical operations are very expensive nowadays so having an insurance plan will surely be of good help. I remember when my son got into a burn accident. That incident made me realize that I should get my family a health insurance plan. In any case, I don't need to worry about the expenses and assured that my family members will get the best medical attention they will need. But I pray God forbids any accident and keep my family always safe. In search of a good health plan, I came across a short term health insurance plan. Yes, there’s a short term health insurance plan available now and this will be very helpful to people with special needs. The plan will cover your needs for a shorter period of time. You can compare short term health insurance offers to get what’s best for you. Learn more here of what short term health insurance plan is available in your place. Always remember, that the safety of our family comes first. Keep your family always protected. "One Lucky Winner Will Receive"
Enter the Rafflecopter below. The event will start August 20th and run until August 27th. Hello everyone! Just got home from a short vacation at our hometown. We decided to go home yesterday afternoon so there's no heave traffic yet and we could still take a rest. The travel was so tiring but we have enjoyed a lot. I will blog about what we have done back home. For the meantime, I will share with you our Daily Inspiration for the today. This is so true. People who always criticize us also teach us to become patient. If not for them, we will never learn how to hold our temper and just tolerate them, so thanks to them. Lol. Happy Tuesday! Tomorrow is back to work. Hello everyone! It's Monday, a holiday! We still have one more day off, yey! By the way, this won't be long. I will just share this Daily Inspiration with you. Hi guys! What's your long weekend plan? Just came here to share our Daily Inspiration. Have a blessed Sunday! 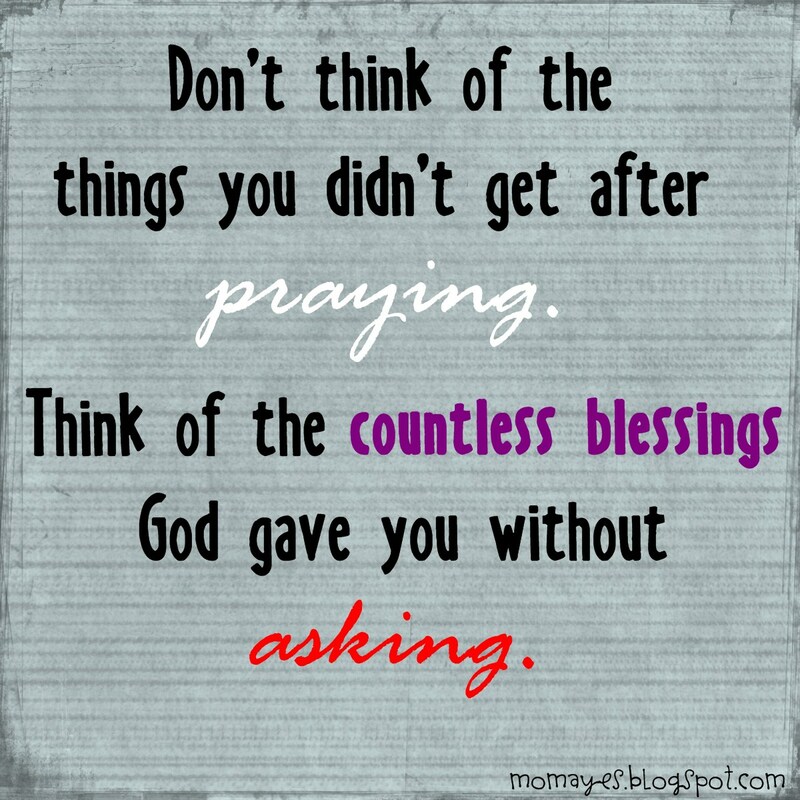 Don't forget to say thank you to Him for all our countless blessings! Moms and Dads, look what I found! I am sure this make you laugh right? Parenting is such a nice way to lose unwanted calories. Lol. Good day everyone! At long last it's Saturday. After hours now, we will be at Nueva Ecija. Yey! Before I'll take my long weekend, let me give you this Daily Inspiration. I am thinking about this. Makes me wonder, okay given that you are right but how about if you hurt other's feelings by saying the truth. 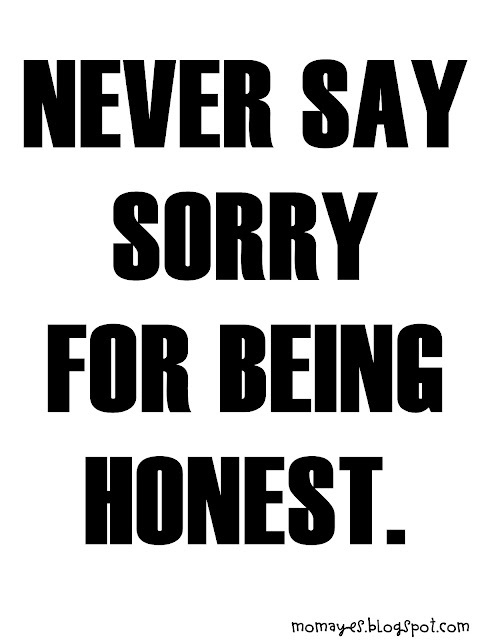 Anyway, maybe it just implies that never regret saying the truth even if it hurts. What do you think? 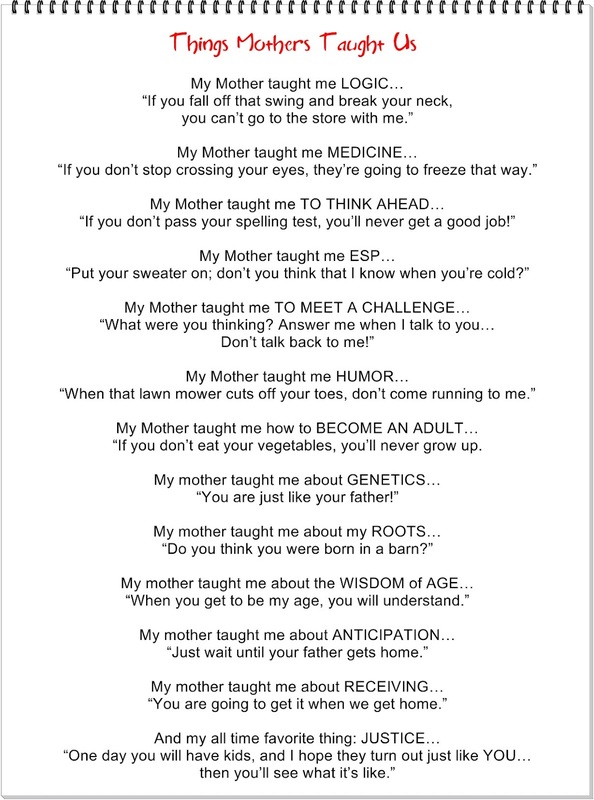 Let me share this with you moms and dads. Being a working mom, I fear that I may not teach my son the right way. I mean, I am working outside home from 7am to 6pm and that makes me feel insecure most of the times. The fact that my son now slowly understand where mom and dad are going and what we are doing all day makes me realize that he needs more of our attention. That's why I really don't bring work at home. I see to it that when we are at home, our attention is with him all the time. I make him feel he is love and happiness is far more important than any material things on earth. I also teach him to appreciate little things. I don't teach him what is ugly or beautiful because I want him to not discriminate anything or anyone, and make him see everything as beautiful. I know it's natural for us to know what's beautiful or not so I let him learn it his way. Okay, it's a fact that every parent wants the best for their children, so do I. I honestly want to give my son all the best in this world. But we should not forget that children appreciates more what money can't buy and that's our time. Don't tell them you are busy with work to raise money and be rich. This will inculcate in their young minds. Instead teach them to be happy even with the little things around them. In that way, they will learn to value things and would never look at the price. Enjoy the rest of day! TGIF! 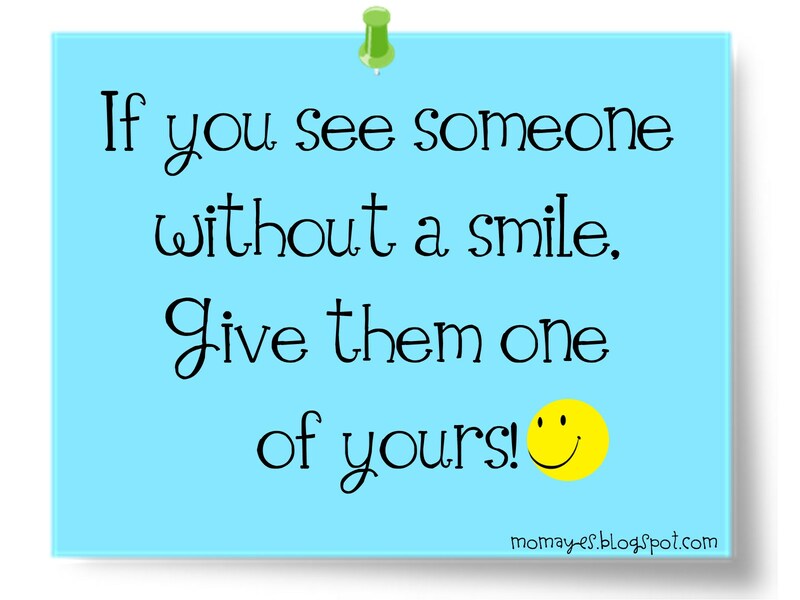 Daily Inspiration: Today Give A Smile! Woohoo! Two straight days without rain! I hope we will have good weather too this weekend. A long weekend is ahead of us here. Yehey! I will never ever miss sharing Daily Inspiration, and here's for today! Don't ever forget to smile. 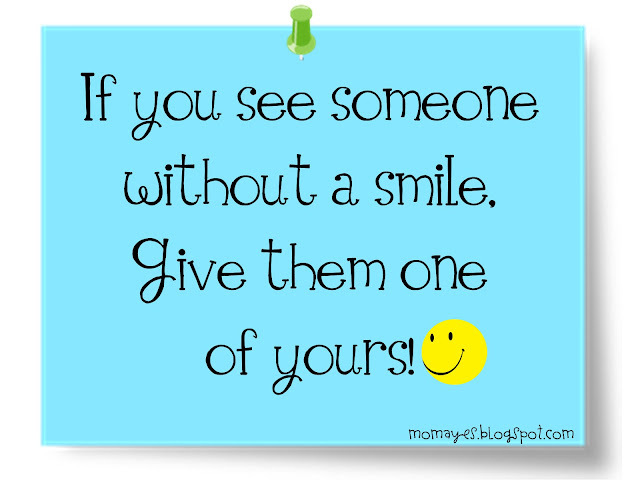 If you see someone who doesn't have one, give them a smile. This will surely remind them to smile and it's FREE. I am pretty sure you are as excited as I am. We are planning to go home to our province. The grannies will really be happy to see their unico apo (grandson). Haha. 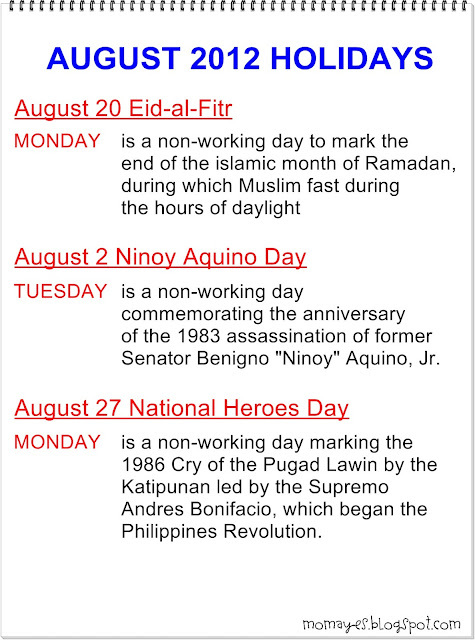 August has so many holidays especially here in Bulacan. Yesterday was a provincial holiday because it's Bulacan's Foundation Day. On August 30, it's Marcelo H. Del Pilar Day, another holiday. Yey! Everyone here is anticipating the long weekends. How about you? Any plans for the coming long weekends? Hello! I'm fresh from a holiday yesterday. I really don't get to rest because I worked at my online shop naman. I shipped two parcels yesterday and thank you to my lovely clients who keep on trusting me. Thank you too to my husband who is always willing to drive for me. The days are moving faster especially that there are coming holidays next week. It will be a very long weekend and hopefully we can go home to our province. I'm praying that we will have a good weather to enjoy the holidays. To boost our day more, I'm sharing this Daily Inspiration with you. Beauty comes from within. So if you are beautiful inside, it will reflect outside. Happy Thursday! Oh, Mr. Sun is here. Hooray! Hi guys! Guess what?! I have another giveaway for you! Brushlove.com and it's team of beauty professionals are very much dedicated to staying ahead of the curve. They work hard to provide some of the finest hair and cosmetic products in the world, with a large dose of exceptional service. They carefully review and make available a wide variety of salon professional brushes and beauty tools with your specific styling needs in mind. One lucky winner will receive a fab vanity set from Brushlove.com! Enter the Rafflecopter below to join. This giveaway starts on Aug 16 and ends on Auguest 31. Good Morning! I'm here at home enjoying a holiday. Yes, it's holiday here in Bulacan. It's Bulacan Foundation Day! We just had our yummy breakfast courtesy of Daddy Allan. Everyone of us want to be successful so if you want it go for it. If you fall down, stand up and keep on moving. Never say never and never quit if you know you can make it. Go! Go! Go! Happy Wednesday! I love being at home, don't you? Hi guys! Another gloomy weather here but still I'm thankful that it's not raining hard. Remove that gloomy feeling with our Daily Inspiration. A new typhoon is here and expect rain again. I am praying it will not leave us any harm unlike the Monsoon rain. Just let the rain pour in our life and be like a seed that sprout and grow after the sun shine again. 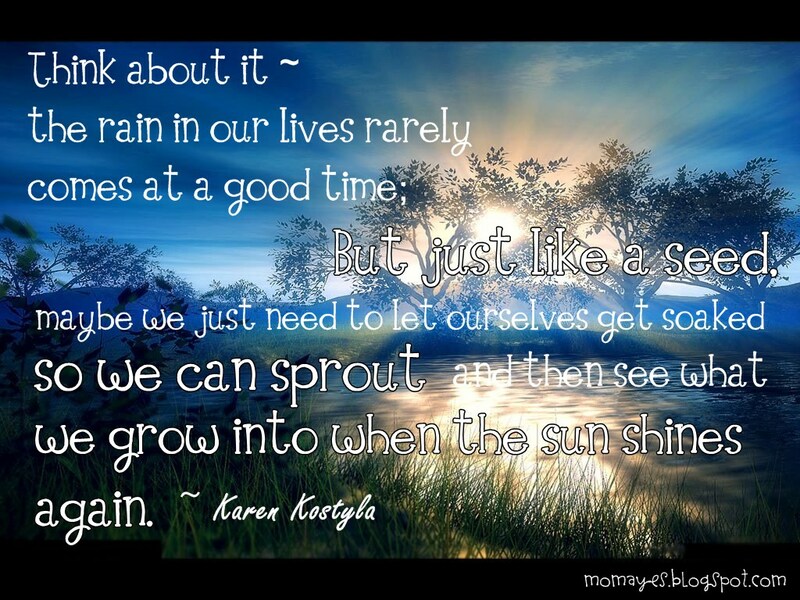 Learn from the trials that come and let us take it positively for us to grow and be strong. Great morning everyone! According to PAGASA there's a new typhoon named Helen. I can see the sky is gloomy again so let us just pray that Helen will not pull the Monsoon. This is very true with me. Though many times, I was overwhelmed with sadness because of negative things but I always find comfort in the hands of God. Learning to wait and trust God are the things I learned. Because I know God has always a better plan. I may not have what I want right now but I believe that if I don't have it now or I will have it in God's best time. Daily Inspiration: What is Life about? Good morning everyone! As I open our window now, I saw Mr. Sun boastfully shining up! Thank God! Another good news is that we have water supply already. The whole day yesterday, we don't have water supply but we are still lucky that our neighbor infront of our house has water pump. Whew! I can take a bath already. Lol. Photostory: Like Father, Like Son!